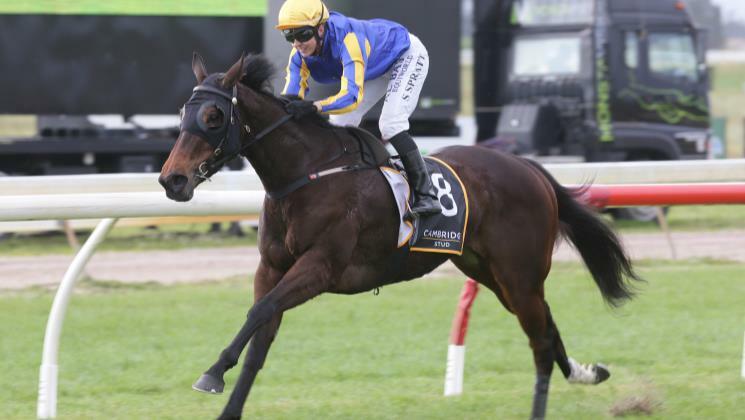 Pukekohe-trained Melt, pictured, once again put her talent and professionalism on display when she was victorious in the Group Three Cambridge Stud Northland Breeders’ Stakes (1200m) at Ruakaka on Saturday. The Nigel Tiley-trained daughter of Iffraaj and jockey Sam Spratt were stuck mid-field on the rail until the home turn, when a gap opened and the duo broke free from the mob to take the lead and were able to hold off the advances of second and third place getters, Madison County and Reevederci. The three-year-old was the warm favourite ahead of Te Akau’s Group One winning Sword of Osman. Tiley had tossed up whether to race Melt at Ruakaka or wait until next weekend at Hastings. “In the end it’s a six-hour round trip up here or a twelve-hour round trip down there,” Tiley said. Tiley opted for the closer to home option because there is a trip to Christchurch in the foreseeable future. 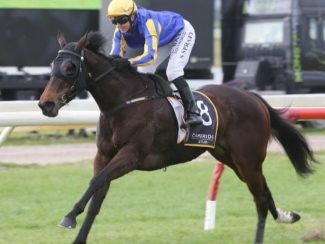 Melt is nominated for both the Al Basti Equiworld Dubai 46th New Zealand 2000 Guineas and the Gavelhouse.com 46th New Zealand 1000 Guineas. Tiley is still considering the path which will take them to Christchurch. Melt has won four races from six starts, earning $176,625. She was bred by C J Cochrane and W A Fowler and is raced by Andrew Fowler.